Owing to the expertise we have gained, we have been able to bring forth to our customers these high quality Designer Chef Coats. Customers can easily avail this range from us at the most comprehensive and market leading price range. We have made use of only high quality material in the making of these coats in order to ensure comfortability. 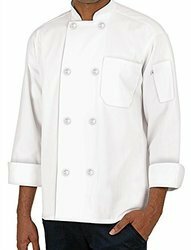 Keeping the business of the chefs in mind, we have designed these extremely comfortable Executive Chef Coats. The coats have been given a standard design and are of perfect sizes. Available to the customers in bulk, these coats can easy in washing as these are color fast. We have given standard pockets and compatible buttons to these coats. 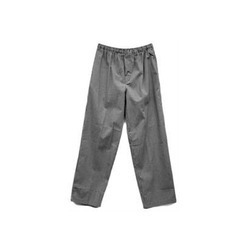 We bring forth to our customers this high quality Chef Pants range that has been stitched from the usage of best quality fabric. Our stitching department has made use of only high quality material in the making of this range. Perfect sizes have been availed in this pants range. It is easy wear and is skin friendly. We avail this range to our customers at comprehensive prices. 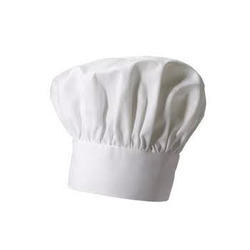 We offer to our coveted customers this high quality range of ChefCaps which is basically a head covering worn by cooks working in kitchens. Offered in a number of standard sizes, these caps are available with us in standard colors only. We have given strict emphasis over the style of the traditional type of caps. 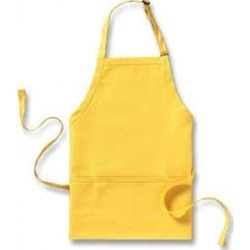 Customers can avail these from us in bulk at comprehensive prices. 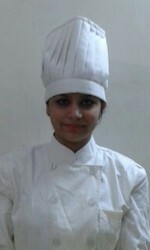 Bestowing up on the sprawling infrastructure, we have been able to develop a wide range of these Hotel Uniforms. It has been fabricated from the best quality raw material that has been availed to the customers at the most comprehensive and market leading wholesale price range. The offered range has been widely appreciated in the markets for its comprehensive quality and premium stature. 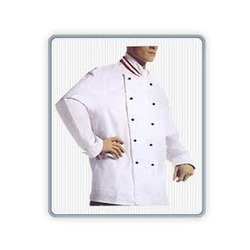 In this range we offer various kinds of hotel uniforms such as Chef Caps, Chef Pants, Chef Coats, Designer Chef Coats and Executive Chef Coats. 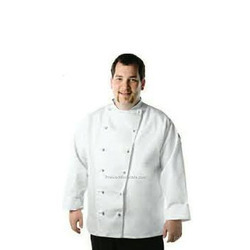 White Gaberdine Chef coat with full sleeves.